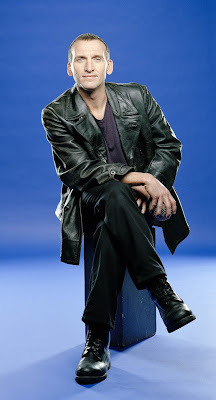 From the Archive: A British Television Blog: 50WHO: The Ninth Doctor Was Fantastic! This is the second part of a series of articles celebrating the 50th anniversary of Doctor Who. Over the years there are certain stories that mean a lot to me either from personal memories or involvement I had in fandom through the years. These articles are not meant to be close examinations of the plot or production but more about what these stories mean to me on a personal level. Enjoy. I know a lot of people who love Doctor Who. I mean a lot of people. There are so many people at work who talk to me about it. I see people carrying around Doctor Who bags, making Dalek-shaped cookies, and even young kids dressed as Matt Smith’s Doctor. Back in the 1990s, I could have never told you in a million years that Doctor Who would be so main stream and it appears to keep growing in popularity. This current taste of popularity Doctor Who is enjoying comes down simply to when the series returned in 2005. For me, it was one of the most exciting times for being a fan. There was something so new and exciting about the events that led up to the series return. It is one of my favourite times of being a fan and I want to share my experience. Growing up in the 1980s and being a fan of Doctor Who was just about as popular as being a fan of Doctor Who which means not very popular at all. It was sometimes hard to be a Doctor Who fan in the 1980s but even harder in the 1990s when the show was off the air. It was cancelled in 1989 and apart from the TV Movie in 1996, Doctor Who did not have a regular series yet the fire was still alight. If you weren’t a fan of the original series of books that came out during that period, like me, you were out of luck. A great deal of young people who watched it in the 1960s, 1970s and 1980s had chosen creative fields in writing or television simply because of their love of Doctor Who. A lot of notable names came from that pool but the one that made the difference was Russell T Davies. For the sake of the rest of this article he will be known as RTD as I am too lazy to type out his name every time I mention him. RTD was making a name for himself writing for television. It’s unimaginable to think that at one point he was extremely approachable as in just being a fan like you or me. A friend used to have his e-mail address and had e-mailed him regarding Queer as Folk to which he got a response. This was all going to change in 2003. It was September 25, 2003 and I remember getting a call from my friend Robert while I was at work. He simply wondered what I thought about Doctor Who returning to television. Hold on! What? What was he talking about? Since 1996 there had been persistent rumours about Doctor Who returning every week.It would be false stories such as someone had seen Paul McGann on some local obscure TV program interviewed saying they are making new episodes or a film was in development. There was always something being said but there were always just rumours. I had given up hope. My official stance was that I doubt the series would ever come back. I had even heard rumours in the early 2000s that due to the success of Queer as Folk and Second Coming the BBC had given RTD free reign to decide what his next project was going to be for them and he chose Doctor Who. Yeah right. I am sick of being let down that the series was returning. It’s better to just assume no new episodes were going to be made again. Jump back to September 25, 2003 and that phone call. I told Robert that I didn’t believe him. Where did he hear it from? He told me to check out CNN.com. So I go over to CNN.com in the Entertainment section and there is the story. Doctor Who to return and it was accompanied by a pic of Paul McGann from the TV Movie. I basically started to weep. Seriously. It’s slightly embarrassing to admit it. I just couldn’t believe it and it made me emotional. I had waited so long for this and by this point I had given up hope. 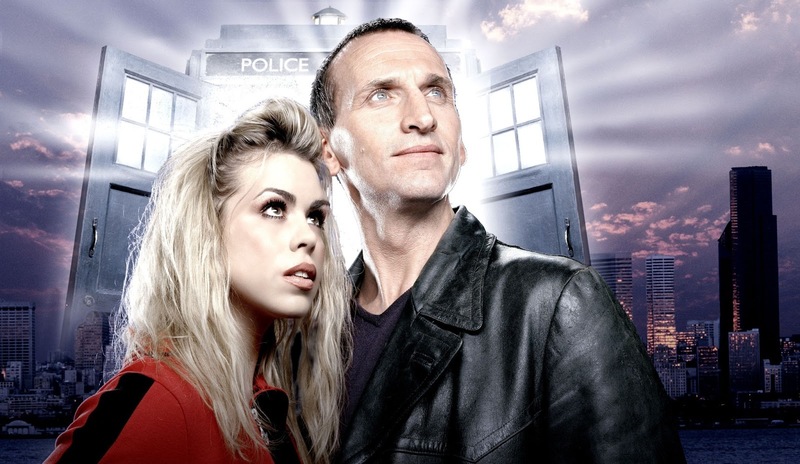 Doctor Who was going back into production and would be back on the air in 2005. Now, I had many unanswered questions. There was talk at the time that Paul McGann might return to the role. I had really wanted that because he was only in the TV Movie and it would be a great continuation on where we left off. I was really much more into the show’s continuity than I am now. In some ways I wondered who else could do it? Christopher Eccleston was announced in March of 2004 as the ninth Doctor. I didn’t have much reaction to him in the role other than, “ooh it’s that guy from Cracker” as that is the only thing I have ever seen him in before. I probably was more worried about how they would handle the regeneration scene between McGann and Eccleston. There had to be a regeneration scene, right? Billie Piper was announced as Rose in May of 2004. She was known to many (not me) as a pop singer. Oh god, I thought, she is going to sing in every episode. Because I am a Doctor Who fan, I was starting to think the worse. We started to see interviews before shooting on the series began. I was getting the feeling that Eccleston took the role way too seriously. He even mentioned that his Doctor was not going to have any silly scarfs. What? The Doctor’s costume is a massive part of the fun. The costume needs to have an Edwardian look. To me, back then, that was a fact! We can’t do anything different; it wouldn’t be Doctor Who! That’s a funny statement since Doctor Who can be about and be anything. Then, one day I saw a picture of the Doctor Who team shooting on location. There was the Police Box which looked completely wrong; I’m still not a fan of that. Then there was Eccleston. Shot after of shot of him with Billie on location. Why is he wearing his street clothes in all of these shots? Oh, wait. That is his costume! A leather jacket?!?!? Who is he, the Fonze? It took a while for me to get used to it but it really grew on me. It was a nice reversal of what we would normally see. The Doctor would be in Edwardian or Victorian style clothing and interact with modern day people but here we have a Doctor dressed in modern clothing; if he went back in time he would look out of place. This is something that was constant throughout the RTD era. Everything had a contemporary feel to it. Sometimes that frustrated me but I actually found it refreshing when the series started. I have to admit I was getting a little apprehensive about my favourite series returning. Keep in mind, I was an expert; I knew better than anyone else or the production team on what made Doctor Who a success. Of course I didn’t! One very scary thought was that there was going to be no Daleks in it at all. Now, I think I may have my chronology a little off as this probably comes before everything else in this article but it was announced that the BBC and the Terry Nation estate did not come to an agreement on having the Daleks return in the new series. I remember being concerned about this but I also believe I saw it for what it was. The BBC made this announcement but I think they did so because they wanted the public to know and have them start to make an outcry for the return of the monsters thus forcing the Nation Estate’s hand. Once this information became public knowledge directly from the BBC, I seem to recall it wasn’t long until an agreement was put in place. It’s good because Dalek was one of the best stories of the new series, if not ever. If there were no Daleks, RTD would have given us another race in that place, the Toclafane. Thankfully they came to an agreement. As an unrelated side note, the new series of Doctor Who that came back in 2005 was very good but I feel once again it was the Daleks that really gave the series that additional boost it needed just like it did all those years ago back in 1963. Plus the Daleks played an integral part of the narrative to the series even when they were not on screen. As we move closer to the first airdate of the end of March 2005, a friend of mine had a really exciting moment when he went to Gallifrey that year. He was privileged enough to see the very first new episode of Doctor Who in 9 years, Rose. This was before any leak of the episode which I will get to in a minute. Also, this was not easily available but he was invited to see it. Minutes after he watched it, he called and told me everything. I mean EVERYTHING. I didn’t need to see it as there was really nothing left to see! Of course I am being a little facetious but he was so excited that I didn’t want to spoil that moment for him. I found out about Gallifrey being destroyed, the Autons, how Rose joined the Doctor in the TARDIS, what the new control room looked like. Now, I am being a little silly when I say he told me everything. For example, he didn’t tell me the colour of Rose’s bedroom! Now, that being said that is one of my favourite telephone calls ever because he was so excited and I couldn’t wait. Even though he told me a lot about the episode, it did not ruin it for me at all. I really couldn’t wait to see it. If only I could get my hands on that episode……. Soon, everyone got their hands on that episode. 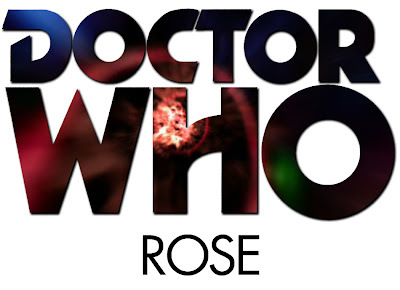 The BBC and the world learned something significant on March 8 when an unfinished copy of Rose was leaked onto the Internet from someone working in Canada who had a legitimate preview copy of the episode. Like so many Doctor Who fans, I could not believe it. This was amazing. My friend who downloaded a copy invited me over. I remember it was very Spring-like out. It was a Sunday afternoon and I had a Psychology test I needed to take. It was pure anguish to get through that 4 hour class so I could drive over to my friend’s house and watch some I have been waiting years to see. It was interesting to see the episode using an interesting version of the Delia theme. I will give my first impressions later in the article. After seeing the episode and as we were getting closer to the airdate, the buzz surrounding this series was amazing. It’s funny when I see interviews with RTD, Phil Collinson or Julie Gardner. They had no idea how successful this series was going to be for them or the BBC yet you would have never thought that based on the publicity and trailers for the series. It was presented with confidence as it was going to be a massive success from the start. 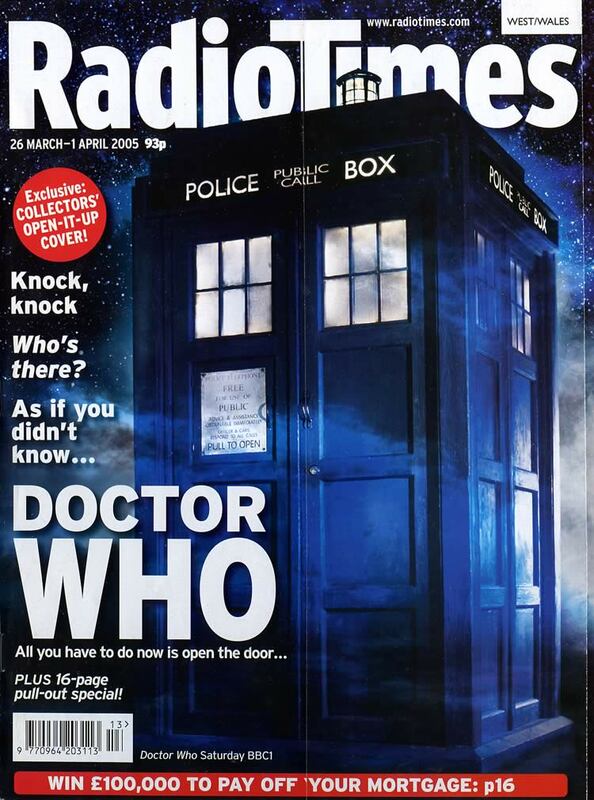 All of March in the Radio Times, there were countdowns to the new series starting, interviews and even a pull out supplement in the issue the week of its premiere. Then there were the BBC trailers. There was the very quick teaser released in January but then there was the “Trip of a Lifetime” trailer. The trailer, seen below, has the Doctor asking us the viewers if we would like to come with him on a trip of a lifetime. This was our first real look at anything from the series other than promotional stills. Just watching it now, it still gives me chills. It also features a slower almost menacing version of the theme tune. It just built the excitement for March 26th when the series would premiere. Words could not describe how excited I was for this. Clearly my fears about the series returning were gone. I was getting excited for this series and clearly so were the BBC. The series was stated to originally be a 6 episode run, then 8, and finally getting a full 13 episodes. As we got closer, we got some personal appearances. 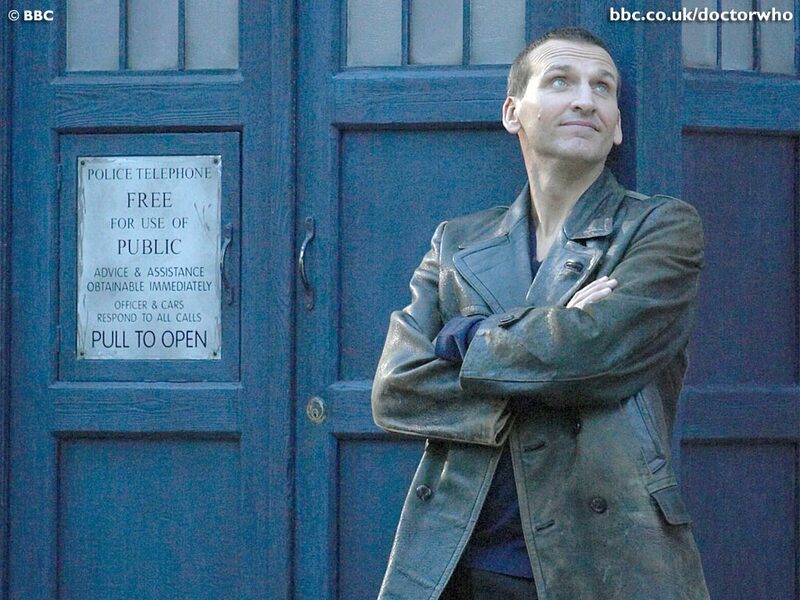 The one that stood out as a red flag right from the start was Christopher Eccleston on Jonathan Ross. He spoke highly of the series returning yet was very dicey about how long he was going to stay. Not even stuff like will you be in the role long but basically if he will be back for Series 2. My heart sunk immediately. I know I wasn’t the only one who was concerned by what Christopher was saying not only with his words but his body language. My Spidey sense was tingling! March 26, 2005 came and this was a completion of a journey that started for fans in September of 2003. Prior to the episode airing, there was a documentary that aired getting us ready for the new series called A New Dimension. 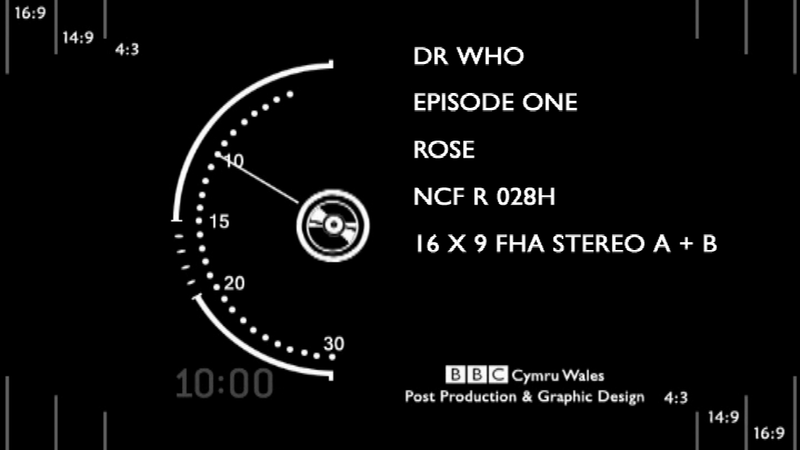 It was basically a countdown to the start of Rose on BBC 1. There certainly was an air of grandeur with the documentary and it was well deserved. It was narrated by an actor named David Tennant. Looking back, that seemed rather fortuitous? Changes were already afoot. A friend was going to download Rose and have a gathering over at his house for use to watch. Even though I, and everyone, had already seen it I could hardly wait. I get over there and immediately I was told about sabotage of the highest order. Apparently, sound had bled through from Graham Norton’s series Strictly Dancing over the first few minutes of Rose. Mainly you could hear the audience laughing. My friend was convinced that this was done on purpose because no on at the BBC can take Doctor Who seriously and wanted to embarrass it by adding the laughter……..um OK. He was really pissed about it, convinced that was the reason. The real reason was because it was an unfortunate technical mistake. The BBC would not waste millions of pounds only to let it be sabotaged. Anyway the BBC was the one laughing at the end of the day because the episode reached 10.5 million viewers. What about little old me? What did I think of Rose? I loved it from the first unofficial viewing. A lot of fans I spoke to didn’t care for it because it didn’t feel like Doctor Who to them. It felt completely like Doctor Who to me but with a much needed makeover. We were re-introduced to the Doctor via a third party who had been tracking him through historical record for years. The Doctor’s, as played by Eccleston, image were linked to key events in history. That was our first clue to this person being different from us. Clive was the guy tracking The Doctor and used modern day technology to get the word out about him. It was subtle and effective introduction opposed to how the entire canon of Doctor Who was vomited out by a Paul McGann voice over in the first 5 minutes of the TV Movie. RTD returned some mystery to the character. This mystery went as far as us fans not even knowing how much canon was going to be in this new series. It feels like RTD started the viewers off as far as possible from established canon and slowly reeled it all back in without anyone realizing it. Eccleston was invigorating to me. I felt he was alien enough and had a very quirkiness to him. I had friends who were offended by the line the Doctor delivered talking about saving every stupid ape on the planet. Don’t be offended, it’s not real. I feel Eccleston played the role very differently from every other actor yet I was still able to believe he was the Doctor. I immediately knew that I wanted to see him in the role for a very long time. Billie Piper was a surprise to me. She was excellent. She was smart and was never annoying in Rose. It became very evident why the Doctor felt she should travel with him. I have soured to the character of Rose beyond Series 1 but at this stage, the duo of the Eccleston Doctor and Rose was one I wanted to see in the TARDIS for a long time. I have to admit that I am grateful, no matter how good of a singer she was, that there never was an episode where they decided that Billie needed to sing. I appreciated that. That said, one of the biggest stars in the episode was the music. I will never understand why Murray Gold gets so much flack by fans. I think he has created some of the best music in the series history. He developed themes for characters which is something we rarely ever had before that. All you need to hear is a couple of notes in an episode which suddenly conjures up that character in your mind. 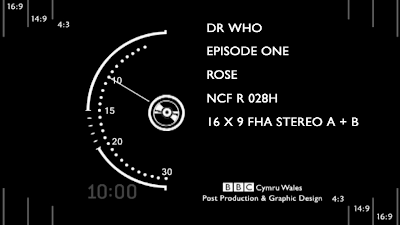 The music from Rose ranged from fast-paced to mysterious employing various styles throughout the episode. The biggest surprise for me was the theme tune. Remember, it wasn’t on the leaked version so when we all watched the transmitted version, I was blown away. I couldn’t get it out of my head while watching the rest of the episode. As soon as it ended, I asked if we could re-watch the opening again so I could hear the new theme. The original synthesized bass line with string accompaniment was perfect for this new series. It is probably my favourite version of the theme music ever. As a fan, that week started off as a real high. The episode got enormous ratings but then shocking news hit the Internet. 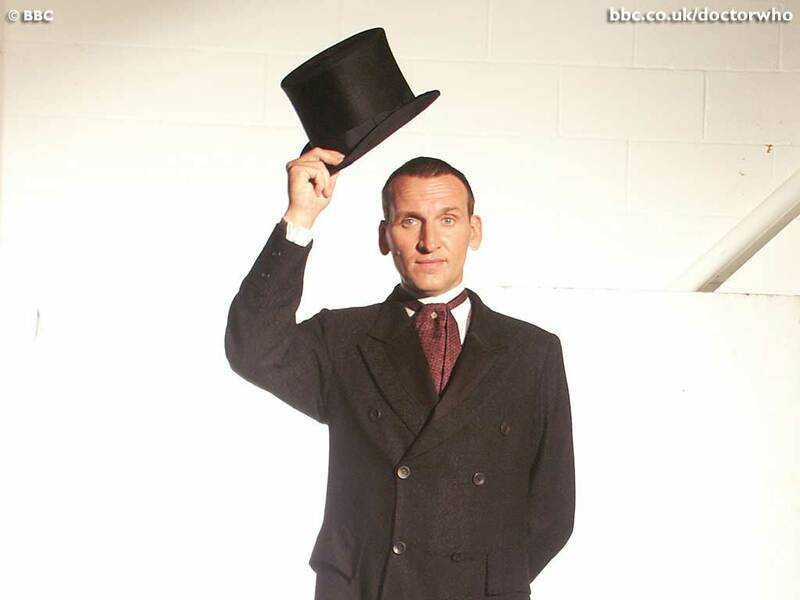 On March 30, it was announced Christopher Eccleston was leaving Doctor Who. I was devastated. Not as devastated as many of the posters on Outpost Gallifrey forums. It got so heated and out of control the whole forum had to be shut down for a couple of days to let everyone cool off. People were calling Eccleston names and blaming him for the eventual failure of the series…..as those people assumed the series would end because of this. Yes, I was disappointed but there is no excuse for the way some people acted about this news. It was pathetic and shows how horrible fandom could really be about this sort of thing. Throughout Series 1, knowing that Eccleston was leaving, I really cherished the episodes but not looking forward to the final one. Soon David Tennant was announced as the tenth Doctor and everything would change. Out of the 7 series that have been made so far since the series returned, I think the first one will always be my favourite. There is something truly unique, fresh and almost humble about it. It really was adventurous and dangerous. It was Rose and the Doctor exploring the universe and since we didn’t know the Doctor as of yet, we were seeing it all from her eyes. They were able to turn Doctor Who from the niche program into a truly worldwide success. Runner up: If I wasn’t going to write about Rose, I would have written about Dalek as that is a major part of the Eccleston era, as short as it was. Luckily, I am writing an article on Dalek that will show up in an upcoming issue of Whotopia. I mentioned earlier that I feel that, like in 1963, the Daleks saved Doctor Who again when the series returned in 2005. That may be a step too far but having them in the series certainly helped. 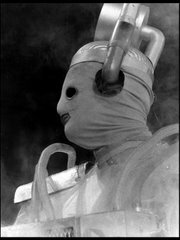 The Daleks are an interesting race created by Terry Nation who knew he didn’t want to see an actor’s legs when in the costume. 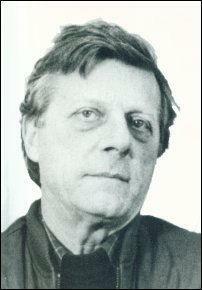 It was Raymond Cusick who created their look and functionality. The whole thing could have been easily cheesy and the series could have been a footnote in television history. Instead with the amazing voices from Peter Hawkins and David Graham we had these amazing designs of the Daleks which made Doctor Who a colossal success in the 1960s. I know this is completely wrong but I always felt that Raymond was the creator of the Daleks. His designs are the best monster designs ever. I love the look of the Daleks. Raymond Cusick passed away on 21 of February at the age of 84. Thank you for your amazing designs the Daleks! Next 50WHO article: I love the Pertwee era especially Seasons 7 & 8. One reason why I like them is because of how those episodes existed in so many different formats. I would watch a story on PBS in black & white yet I owned a colour copy of it through tape trading. It was always fun to try and find Pertwee episodes in episodic format as we were only locally shown movie versions. Perhaps what this blog doesn’t need is another tape trading article but when talking about Pertwee, it is kind of hard to not turn it in to that. I will touch on that as well as my favourite Jon Pertwee story Doctor Who and the Silurians. Look for this article at the end of March. Wonderful stuff. What more can I say? My article or that era? It was a fun time leading up to the return of the series. It seems so long ago now. The article was a great piece of nostalgia for a not-quite-bygone era. In the run-up to Rose, I was really not sure what to make of it all. I had adopted an attitude of "I will watch it but they will probably ruin it by being all annoyingly modern and ignoring established continuity." Seems to have turned out alright after all. I agree! I was also a little nervous about the relaunch of Doctor Who, but I loved Christopher Eccleston's Doctor and wish he had stayed longer in the role before it moved on to the next Doctors. And I enjoyed the modernness, especially with the little jokes. I liked the sparkiness and humour of Billie Piper as Rose too, although I do think too many of the female characters since then have been too similar. Exciting times :) I also wish we could revisit that period in new Dr Who when it overlapped with Torchwood, UNIT and Sarah-Jane Adventures all at once!